[Nov 20] Presentation slides of Panel Sessions Energy Storage and Entransy, and video of Panel Session Entransy are available for download. 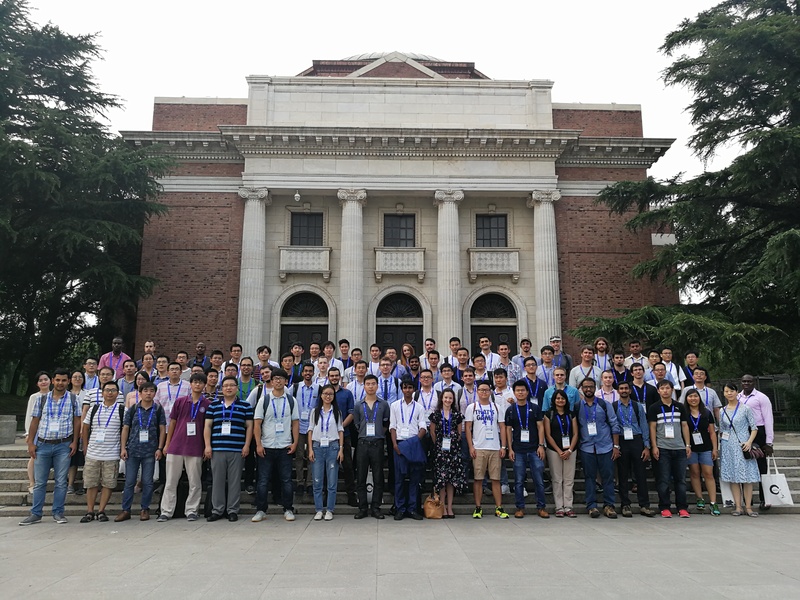 [Aug 21] The group photo of YRM participants in Tsinghua campus is available. [July 25, 2018] The final version of the conference program is released. [July 19, 2018] Registration of the Young Researchers Meeting (YRM) of IHTC16 is open. [July 19, 2018] Details of the panel sessions are now available. [July 19, 2018] Information about the plenary lectures has been added. [July 18, 2018] Times and locations of the reception and the banquet have been added. [July 14, 2018] Information of the keynote lectures has been added. [July 12, 2018] Exhibits information is available now. [June 28, 2018] Cancellation policy has been added to the registration page. [June 24, 2018] Award information has been updated. [June 24, 2018] Two tour routes are available. [June 11, 2018] The tentative programme has been updated on the schedule page. [May 14, 2018] The tentative programme has been released on the schedule page. [May 3, 2018] Detailed instructions for the poster session have been added to the presentation page. [Mar 1, 2018] Registration and hotel reservation are available now. [Feb 27, 2018] Venue and travel information has been added. [Feb 25, 2018] Information about visa and invitation letter has been added. [Oct 23, 2017] The registration page has been added. [Sept 13, 2017] Information for panel sessions has been added. [Aug 24, 2017] The deadline of abstract submission has been extended to September 15, 2017. [Aug 24, 2017] The fourth announcement is released. [May 3, 2017] The third announcement is released. [Mar 17, 2017] The second announcement is released. [Mar 2, 2016] The first announcement is released. The heat and mass transfer community is involved in nearly all aspects of society since nearly all activities involve some form of heat or mass transfer. Heat and mass transfer phenomena control energy production and utilization systems, many types of production lines, transportation systems and numerous daily activities for our modern lifestyles. Thus, heat and mass transfer is a vitally important field where scientists and engineers face difficult challenges developing cutting-edge technologies for highly efficient energy systems, massive information/communication equipment, high-value-added manufacturing, and comfortable living environments, to name just a few. The International Heat Transfer Conferences (IHTC) are the world’s premier conferences for scientists and engineers in the heat and mass transfer research community. The conferences are convened every four years to exchange the latest heat and mass transfer information. Previous conferences have greatly enhanced our exchanges of knowledge and experience and nurtured new and interdisciplinary research areas. IHTC-16 will continue the increasingly important mission of fostering international cooperation and the exchange of ideas among colleagues to solve urgent problems and improve peoples’ lives in the years ahead. We invite forward-looking scientists, engineers, and researchers from all over the world to attend the 16th International Heat Transfer Conference (IHTC-16) in Beijing, China, August 10 to 15, 2018. In addition to exploring traditional research areas, IHTC-16 will ask important questions about how we can better serve society and make this world a better place for all people. We face major issues such as ensuring sustainable development, healthy ageing, sufficient food for all, and economic growth that need scientific and technological solutions. To do this, we need to promote collaboration to develop new ideas with interdisciplinary teams developing new solutions for today’s problems. IHTC-16 will provide participants with unique opportunities for exchanging new ideas and will facilitate extensive discussions throughout the conference. We hope that IHTC-16 will magnify the contributions of the previous 15 meetings for the benefit of the international heat and mass transfer community and all people.